International Comprehensive Ocean Atmosphere Data Set (ICOADS) consists of digital data set DSI-1173, archived at the National Center for Environmental Information (NCEI). ICOADS is the world's largest collection of marine surface in situ observations with 185+ million records for 1784 through the present. ICOADS is developed and maintained as a cooperative effort between NSF's National Center for Atmospheric Research (NCAR) and the National Oceanic and Atmospheric Administration (NOAA): specifically its Climate Diagnostics Center (CDC), in conjunction with the Cooperative Institute for Research Sciences (CIRES) of the University of Colorado, and its National Center for Environmental Information (NCEI).ICOADS is a collection of global marine surface observations from 1784-present. The data is originally from Surface Marine Observations, DSI-1129, (C00242). The coverage is global and sampling density varies depending on date and position relative to major ocean shipping routes. 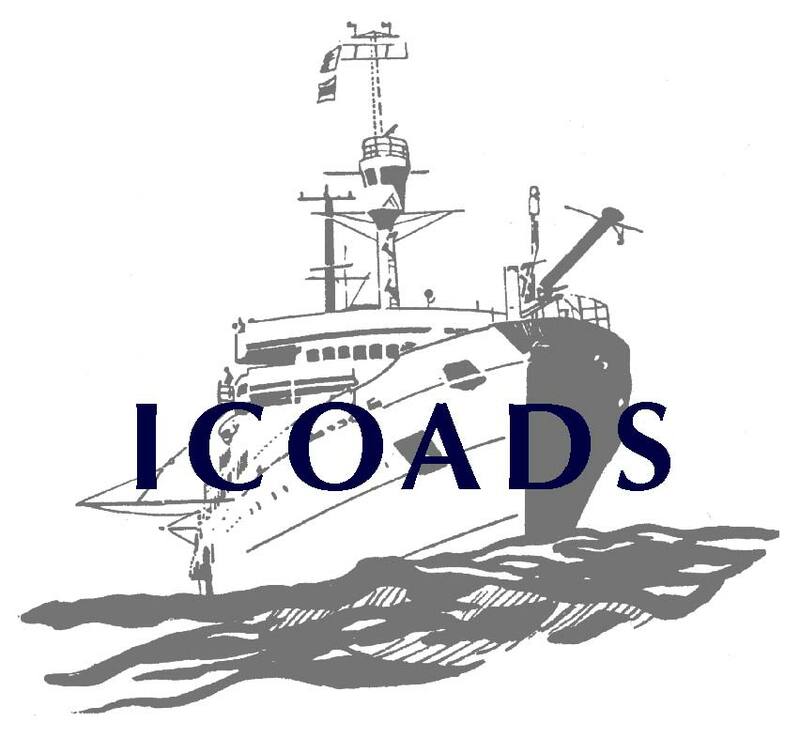 ICOADS data are made available through observations that are taken primarily from ships (merchant, ocean research, fishing, navy, etc.) and moored and drifting buoys. Each report contains individual observations of meteorological and oceanographic variables, such as sea surface and air temperatures, winds, pressure, humidity, wet bulb, dew point, ocean waves and cloudiness. Also available are monthly statistics of observations. The monthly time series are available from ships or buoys dating back to November, 2001. After the observations are summarized the data are not interpolated or analyzed to fill data voids. The spatial coverage varies depending on the date and position relative to major ocean shipping routes. A monthly summary for an area box includes statistics (e.g. mean, median, standard deviation, etc.) for observed and computed variables (e.g. sea surface and air temperature, wind, pressure, humidity, cloudiness, etc.). Monthly data is available in an ASCII table format. Search Tool for searching marine data. This sample data file shows how the data are formatted in ASCII and is for example purposes only. Informational resources for NCEI Marine datasets. Historical marine data are comprised of ship, buoy, and platform observations from 1662-present. Data values are delayed by one month. In addition to location, ship identification, ship speed, and ship direction, weather elements observed include: wind direction and speed, visibility, present and past weather, sea level pressure, dry bulb, wet bulb, and dew point temperatures, sea surface temperature, cloud data, wave data, and ice accretion. Purpose Historical marine data are comprised of ship, buoy, and platform observations from 1662-present. Data values are delayed by one month. In addition to location, ship identification, ship speed, and ship direction, weather elements observed include: wind direction and speed, visibility, present and past weather, sea level pressure, dry bulb, wet bulb, and dew point temperatures, sea surface temperature, cloud data, wave data, and ice accretion.